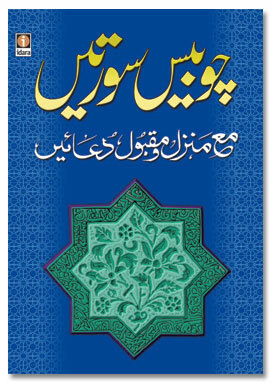 Urdu Book: This book “Chaubis Surtein” contains selected Verses and Surahs from The Holy Quran, Surah Fateha, Aiytal Kursi, Surah Yaseen, Surah Rehman, Surah Sajda etc. for safety from all sorts of Calamities. This book also contains Masnoon Duas, Dua Qunoot, Darood o Salaam, Ayat-e-Shifa, Subha Shaam ki Duain etc. must for every home.